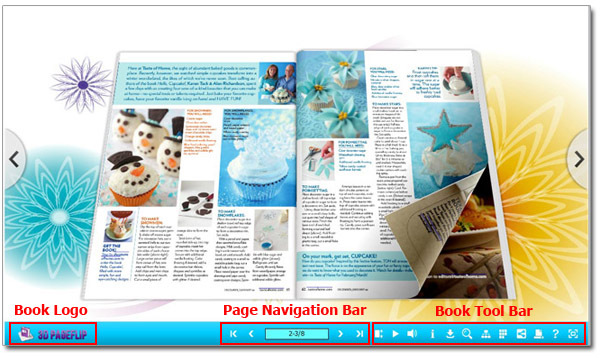 ﻿ How to easily convert PDF into interactive 3D eBook? Q: How to easily convert PDF into interactive 3D eBook? A: 3D PageFlip Standard/Professional will help you to build stunning digital eBooks without any flash knowledge or programming skills. 3. Start convert: Click "Convert to 3D Book" icon to enter Output interface, choose Output Type from HTML, ZIP, EXE, 3DP based on your publish requirement. EXE is standalone format for you to view the eBook without other files running together. 3DP allows you read book in 3D PageFlip Reader and is convenient to share via email. 4. Upload online directly: Click "Upload Online", create an account if you are a new user, then upload flipbook directly to our 3DPageFlip Server. This option is suitable for the one who have no personal website. Know more about upload online service. If you want to upload flipbook to your own website, you can take this FAQ as reference to upload flipbook on your website. Very stunning and beautiful presentation to show your clients or friends, isn't it?